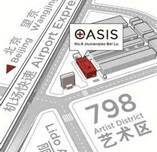 Oasis International Hospital in Beijing was opened recently in 2012 and is one of the newest International hospitals in the city offering all types of medical care, amazing facilities and health specialists for different areas. The hospitals is private and covers 15.000 m2 of facilities, 60 stay rooms for patients, an entire maternity centre and other services such as dental care, eye clinic, surgery or Chinese medecine. All their doctors have International experience and provide consultation in different languages. 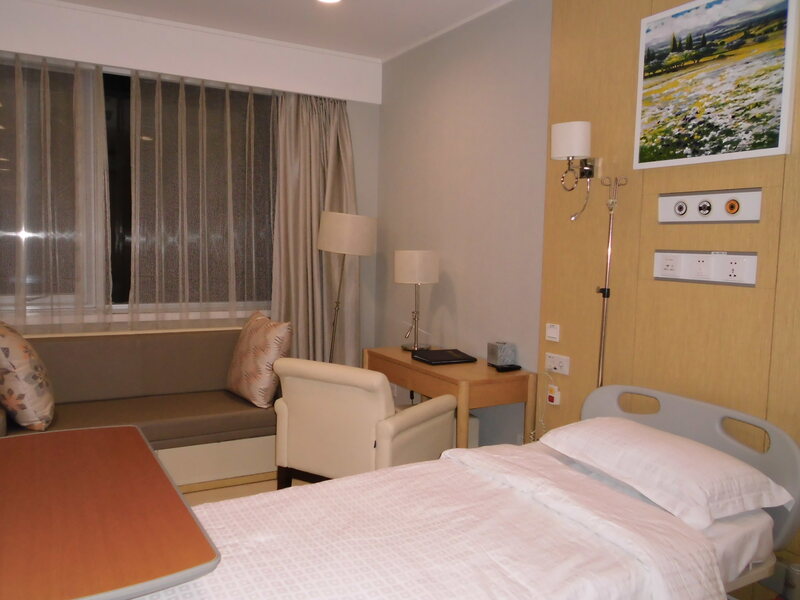 The entire hospital involves a warmly environment and a detailed decoration with soft tones and flower portraits for a nice and comfortable long or short stay. All rooms are individual with its own bathroom and facilities. Patients can have every need like in a hotel so they just have to bring their personal belongings to the hospital. The Centre also offers a VIP area which has its own stays like a private house and has been decorated with fine taste. To make you feel like at home, the hospital also provides first class accommodation for executive patients who need to work during their stay. The general doctors, specialists and nurses are always providing the best care and specific needs to all patients. The Centre hires doctors from all around the world but also Chinese doctors with International experience abroad. All of their Chinese doctors speak fluent English or any other languages such as Japanese. Of course doctors speaking German, Dutch, French and other languages work at Oasis International. Family Medicine, Pediatrics, an Emergency Centre, Eye Clinic, Dental Clinic, Nutrition, a Pharmacy for everyone, Laboratory and vaccination. Internal Medicine, Orthopedics, Rehabilitation, Psychological therapy, Preventive Medicine, Dermatology, OB/GYN, ENT, TCM, Urology, Gynecology and Birth Centre, Chinese traditional Medicine, Surgery and plastic surgery are also important departments. An emergency care area is always available at the Hospital without forgetting the pharmacy delivering International medicines and vaccination centre. 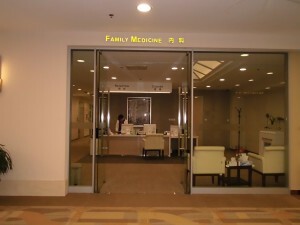 The hospital also offers a home doctor service in case any patient is not able to arrive to the centre, providing any medication and coordinating any admission to the hospital when necessary. The Prenatal Care at Oasis Hospital is going to be very important and offers since its open personally consult and pregnancy follow-up which includes around 14 consultations and ultrasound tests. Every area has its own reception in order to be able to look after every stay. At Oasis International hospital a Neonatal Intensive Care Unit is also steps away from the birth rooms in case of emergency. The hospital also organized natal gatherings for young mothers to exchange experience and activities such as breastfeeding classes. 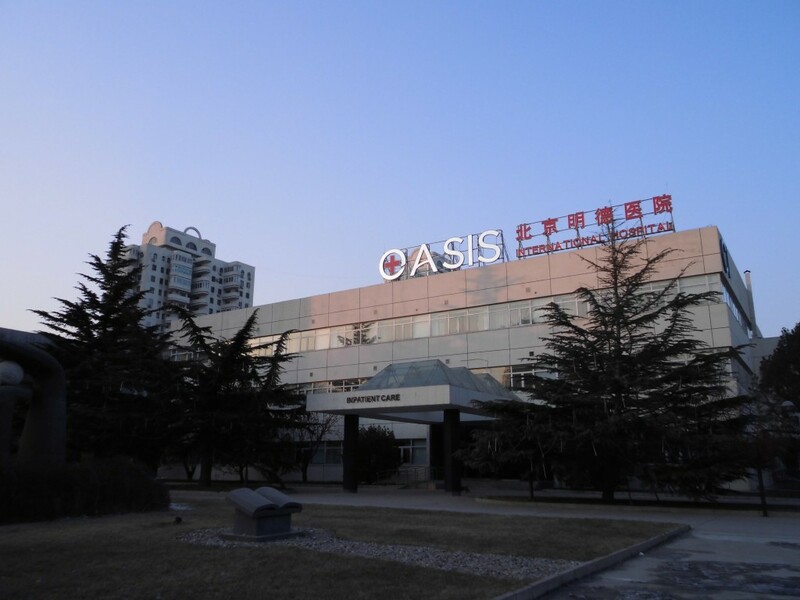 Surgery is one of the strongest departments at the Oasis International Hospital, providing the latest invasive techniques and minimizing every time the post operation risks and other complications. Several doctors are specialists in minor surgery such as tissue diseases or gastrointestinal and other cases like vascular systems and cosmetic surgery. The use of Chinese traditional medicine is another main department at Oasis: acupuncture, therapeutic herbology and massages have been used in Chinese medicine since ancient times and are combined with western medicine, healing and preventive methods. 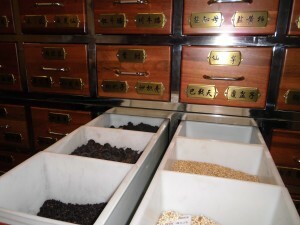 We can find not only high qualified doctors and nurses for the use of acupuncture but also all types of herbs and the only hospital in Beijing, having its own equipment to produce herbal medicines.